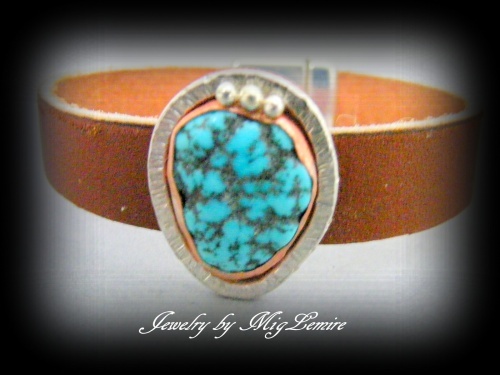 This leather bracelet has a focal gemstone of Chinese Turquoise which is soldered with a copper bezel and adorned with a heavy and hand hammered sterling frame and 3 sterling balls. Bracelet has a strong magnetic silver tone clasp. Measures 7 1/2".